← Meritage, Clos du Soleil, Celestiale, Similkameen Valley VQA, BC, 2011, 13.4% abv. 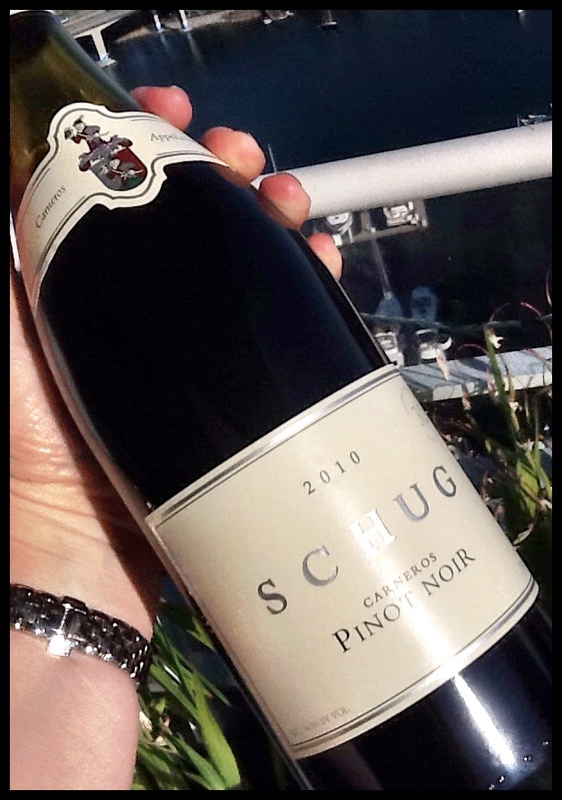 Pinot Noir, Schug, Carneros, Sonoma, California, 2010, 14.5% abv. With American Thanksgiving on the horizon, this is a California Pinot Noir that would be worth finding to pair with the turkey. On the eyes, this wine is the colour of raspberry juice with some garnet thrown in for tone. Its legs are tight and even. The nose is full on cherry and be rry, dried fern, clove and cedar and the palate is dry with medium plus acidity, ripe tannins and high alcohol. Flavours of more ripe field berry, black cherry, vanilla and clove, dried leaves, sous bois and cedar frond round out the palate. The finish is a little light. It worked perfectly with Winesnob’s homemade jambalaya and pizza made with a gluten free base topped with crumbled feta cheese, spicy Italian sausage and Taggiasche olives. This entry was posted in California, Pinot Noir, RED and tagged 2010, california, Carneros, pinot noir, red wine, Schug, Sonoma. Bookmark the permalink.